Firstly let’s start with 2 facts about the BMW M6 Coupe. First that it houses 560bhp under the bonnet and the second it can go from 0-62 in just 4.2 seconds. Both these stats alone tell you what level of performance the M6 is capable of. The aerodynamic lines and shape fully deserving of the classic M badge status. The M TwinPower Turbo V8 engine perfectly suited to the coupe styling. With specialist M Sports suspension and M Differential the M6 delivers breath taking performance, road handling, torque and grip, all tuned by BMW’s finest engineers. The M6 Convertible carries all the qualities that come with the M badge with all the fun of roof down driving. Refined yet more then capable of exhilarating performance. The 560bhp engine can push the M6 Convertible from 0-62mph in just 4.3 seconds so the performance matches the looks. Housing the same technology as the Coupe version this ticks all the boxes for driving pleasure. 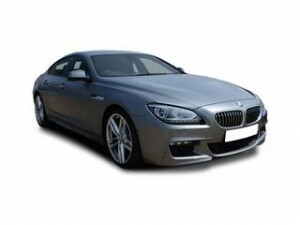 Lastly we have a 3rd version of the M6, the Gran Coupe. This touring edition takes long or short journeys for that matter to the next level. A mixture of high performance technology, fine tuning and BMW craftsmanship the BMW M6 Gran Coupe pushes out 560bhp to back up the sleek looks. With more technology then we have room to mention it’s a drivers dream. The interior as luxurious as you would expect. The driving position and experience simply outstanding. Why not see what you could save on a new M6 with our online quote deal form, configure your perfect M6 and see what you can save from list price.